There are a number of different ways in which you can create a focal point in the design of any room in your home. Typically speaking, you’ll be thinking about how things are laid out or what’s on your walls. For example you may choose to orchestrate the design of a living room around its fireplace. Additionally, you may choose to include an accent wall in your bedroom in order to draw the eye. But, there’s another way in which you can center the aesthetic spirit of any living space: you can think upward. Namely, we’re talking about tray ceilings, which are also known as recessed ceilings. Including these as a part of any room’s design provides you with a great degree of flexibility, which can really help to add some spark to the look. The use of crown molding, different paint colors, and even lighting fixtures can really help to make a tray ceiling something that defines the space it occupies. To give you some idea of what we’re talking about, we’re going to take a look at 20 absolutely gorgeous rooms with tray ceilings. If you’ve been thinking including something like this in one of your living spaces is what’s been called for, then you’ll find plenty of inspiration below. Let’s take a look. 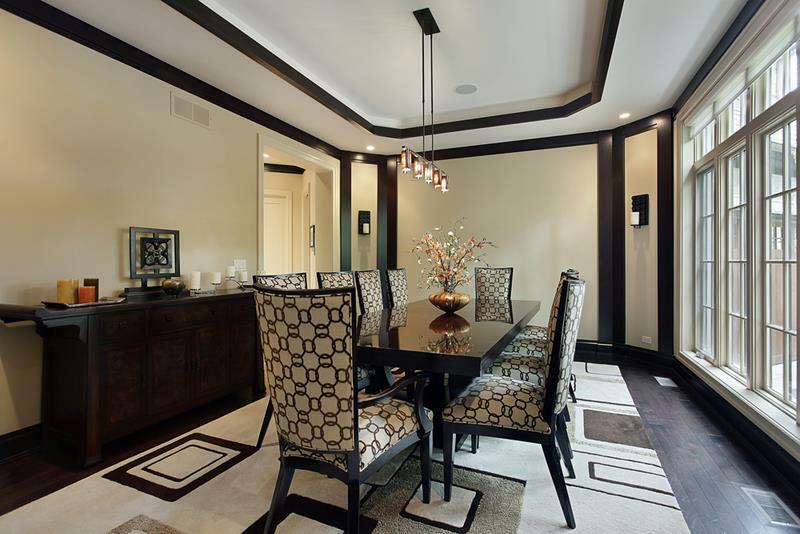 The high contrast of the tray ceiling in this stunning dining room adds a sense of drama to the look. 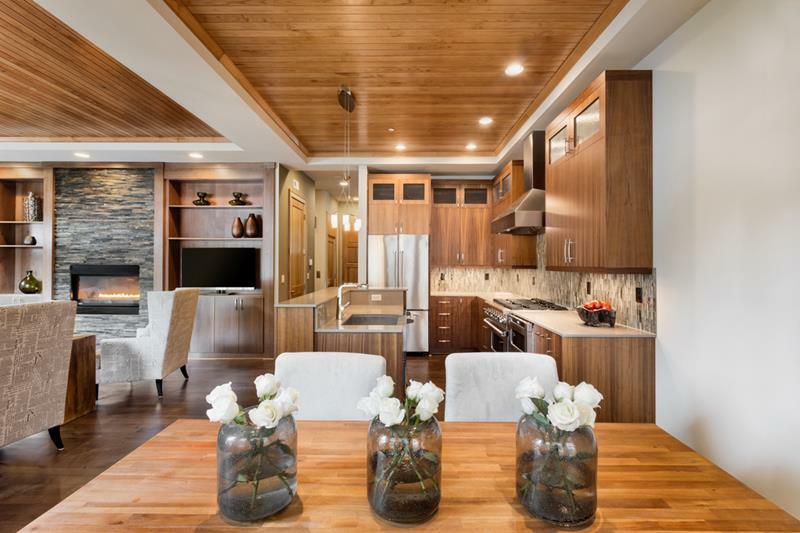 The wood of the tray ceilings in this open-concept living space adds a sense of warmth to the contemporary aesthetic. 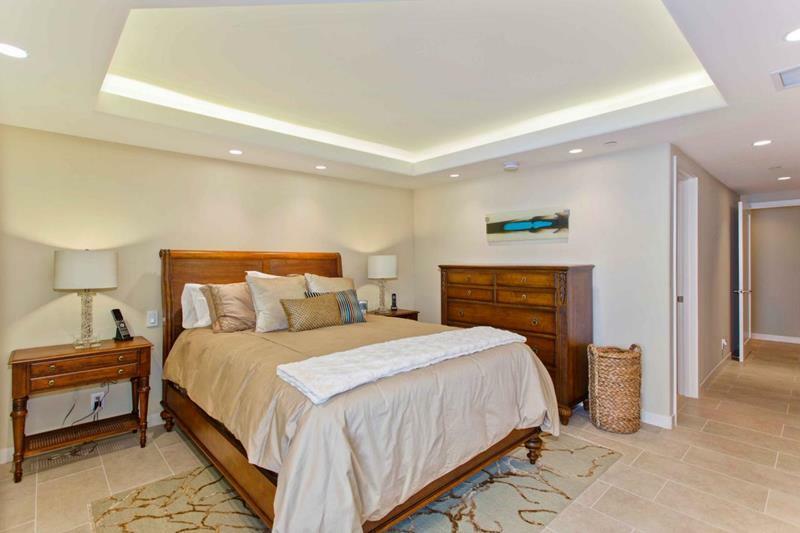 The use of crown molding for this bedroom’s tray ceiling adds to the luxurious feel of the space. 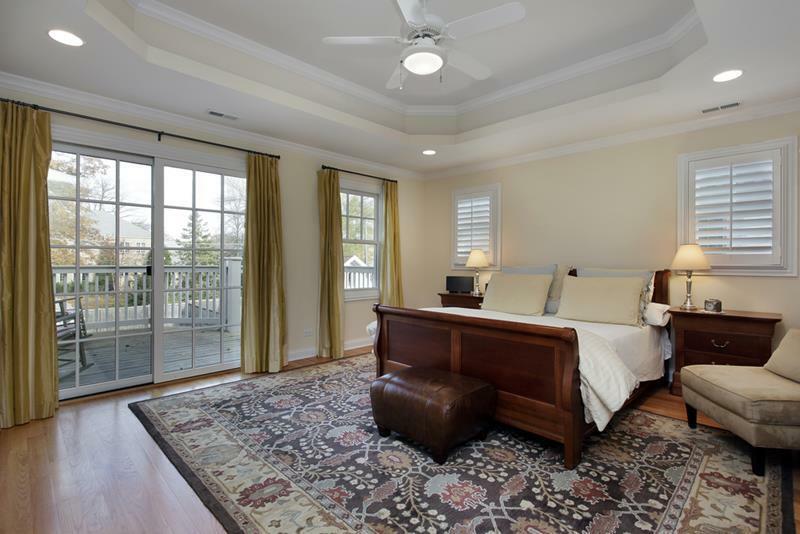 The use of lighting in the tray ceiling here really adds some visual spark to this master bedroom’s design. The use of the wall paint color inside of the tray ceiling here really adds some wonderful dimension and depth to the look of this bedroom.